Decided to watch the State of the Union out in my smoking shed, with a new batch of cigars that came in. 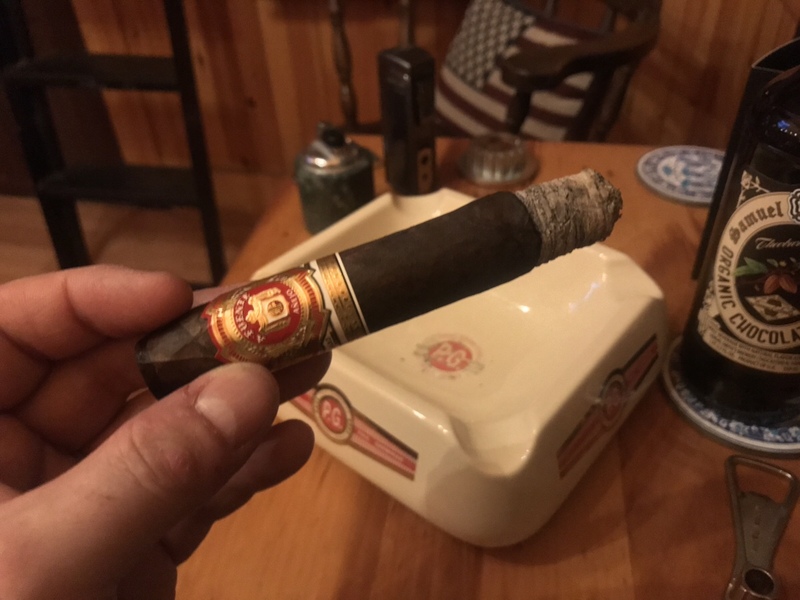 I had a box of Arturo Fuente Anejo cigars – Torpedos. I have a love for the torpedos because I can easily control the flow by how I cut the end. A small snip, or a larger cut. I started with a smaller snip in the back as I always do, but the draw will a little harder than I prefer, so I opened it up a bit more and the draw was perfect. The cigar was extremely smooth for a medium to full bodied cigar. More medium bodied. Some darker notes could be tasted in this particular cigar, more so than some others that I’ve had in the past. Chocolate, leather and some spice notes. Very enjoyable. I believe some of these notes came out more so due to me dry boxing the cigar first (no humidification for a couple of days). 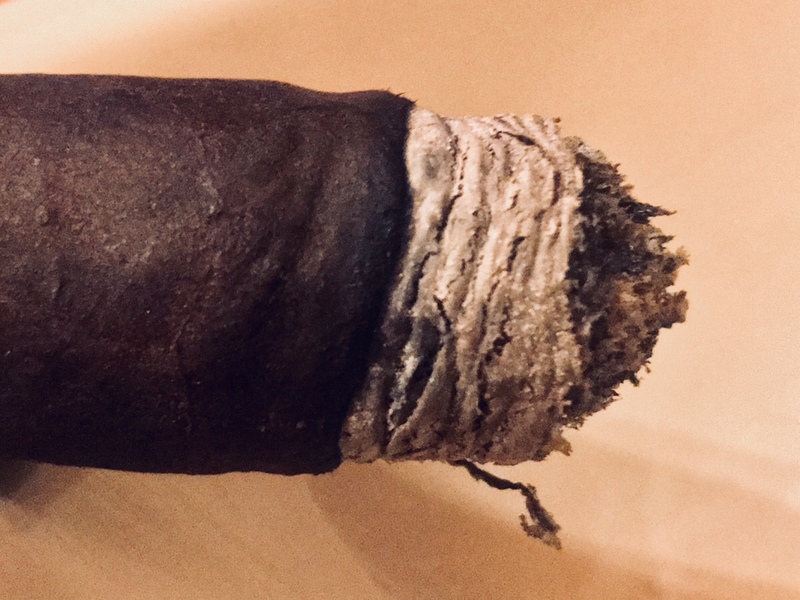 I already keep all my humidors low – 62% – so I’m not sure dry boxing was a good idea and possibly allowed the cigar to burn a little bit hotter than it should have. Regardless it was an excellent cigar. The ash was a nice white ash that you like to see out of a premium cigar. 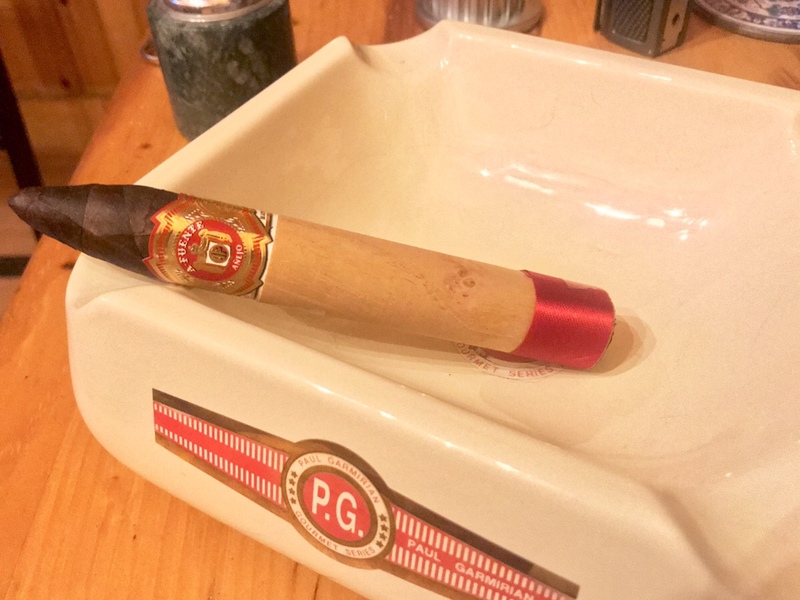 Highly recommend the Fuente cigars… Especially this one. What makes this cigar so great you ask? 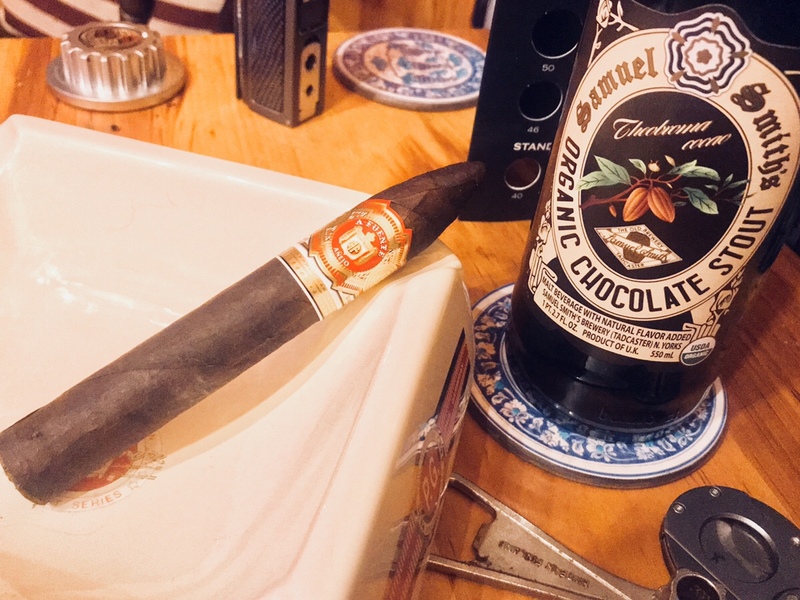 The Anejo cigars are hand-rolled with their Dominican binder and filler tobaccos harvested from the legendary Chateau de la Fuente, then wrapped with a Connecticut Maduro wrapper that has been aged for five years in cognac barrels… Congnac barrels!!! The cigar band doesn’t really make this cigar stand out from their standard line, but I would say this cigar rivals their Opus X line in flavor and smokability while coming in at a much lower price. Those that know about this cigar, know this to be true.